Product description Large format types 100% cotton is cotton. (Soft) cotton accepted the safety of baby's skin can also be used (*), skin-friendly and easy to use. * Accredited international standard for textiles "Oeko Tex standard 100" (material quality textiles for safety certification standards). 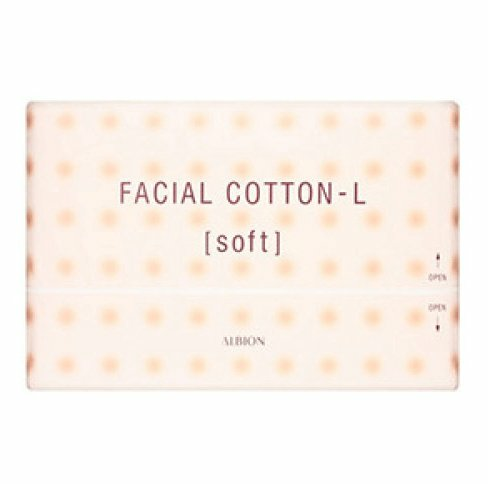 Shop Albion facial cotton L (soft) 120 piece online at Hommi.We ship worldwide,free International Shipping over 8000 yen.See Price, Brand, How to use, Images, Customer Reviews, Questions & Answers for Albion facial cotton L (soft) 120 piece.Customers who viewed this item also viewed unicharm 1/2 cotton 40 pieces,Stick eyelid Artifact - 30 pieces,Ipsa silk Cotton,CPB natural cotton 120piece,D-up Wonder Eyelid Tape Extra整形隐形DIY双眼皮贴布.You can also buy ALBION SKIN CONDITIONER ESSENTIAL SHIP JAPAN,Albion exage moist advance milk 110g/200g,Albion Skin Conditioner Essential Paper Mask E 8pcs,Albion exige white pure white milk 110g / 200g,Albion EXAGE WHITE conditioning powder 18g and more ALBION at Hommi.